I am an old fashioned girl who is quite happy to call herself a “technophobe”. The thought of counselling sessions via Skype was just a horrifying thought to me on several counts. Primarily, the whole process of setting up a Skype account seemed rather daunting, let alone any concerns with regard to confidentiality. After these hurdles, I could not envision in any way how an intimate and productive relationship could be formed when two people are not in the same room or sometimes, even on the same continent! My arm was forced when a regular client was taken seriously ill and became bedridden; she desperately wanted to continue with her therapy through this difficult time. I sucked it up, put my best foot forward and researched Skype. Within five minutes I was registered and had found her email connection. It was easy, far beyond my expectations. However, this was not my major concern; therapeutically, I could not get my head around how I could maintain an intimate and genuine connection via the internet. The first appointment started, we had good visibility with both of us sitting comfortably. I chose to use my usual counselling chair to remain in “therapist mode”. We had a little laugh with regard to it feeling strange and then picked up from the last face-to-face session. Very quickly, I forgot the fact we were not in the same room. I was able to pick up on the body language and the connection began to feel the same as ever. I was sold; this Skype therapy was possible and effective. I have since had clients from around the world, ex-pats, members of the forces, house bound clients and business people who travel and/or are unable to take time away from the work desk. I have since completed a diploma in working safely and effectively online to concrete my quality of internet service. If for whatever reason you cannot make a face-to-face session, then please consider online therapy as an alternative. It is safe, real and effective. I am happy to offer a free twenty-minute initial session to ensure the internet connection works and for you to trial the experience. Internet counselling with Nikki Catto, bringing therapy to your home, desk, hotel room or anywhere else you happen to be. 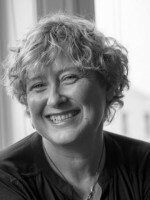 Nikki Catto has been a counselling therapist for fourteen years. working to high ethical standards with a wide range of experience in many fields.